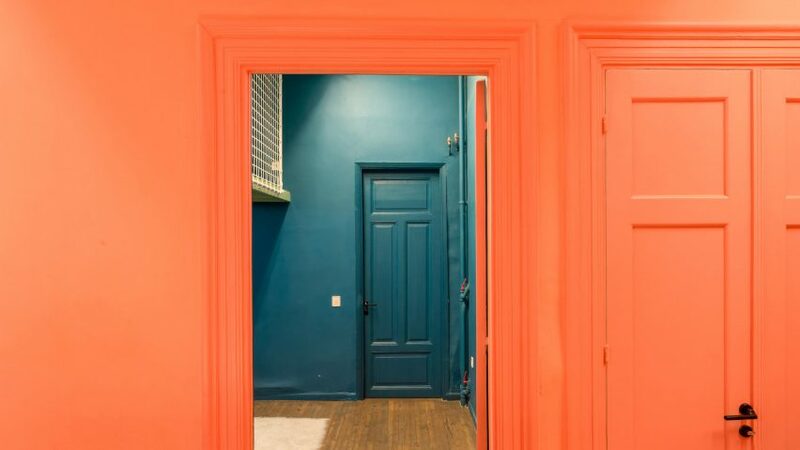 Living Coral is the colour of 2019, according to Pantone. Here's a look at five contemporary interiors that have already put the striking shade to good use. "The use of bold colour is done in an effort to complement and strengthen the power of the sea view, not to suppress it," he explained. The effect makes even white objects in the room look coloured. A coral armchair and storage closet stand out inside this renovated 19th-century apartment in Stockholm, where Note Design Studio swapped the typically restrained Scandinavian colour palette for bright pastel hues. It creates a punchy impression alongside the other colours chosen for the interior, which include sage green and pale yellow. Coral bench seats, chandeliers, and counters feature in this Ukranian bakery, which designers Lera Brumina and Artem Trigubchak decked out in various shades of pink to enhance the "warm colour of bread".